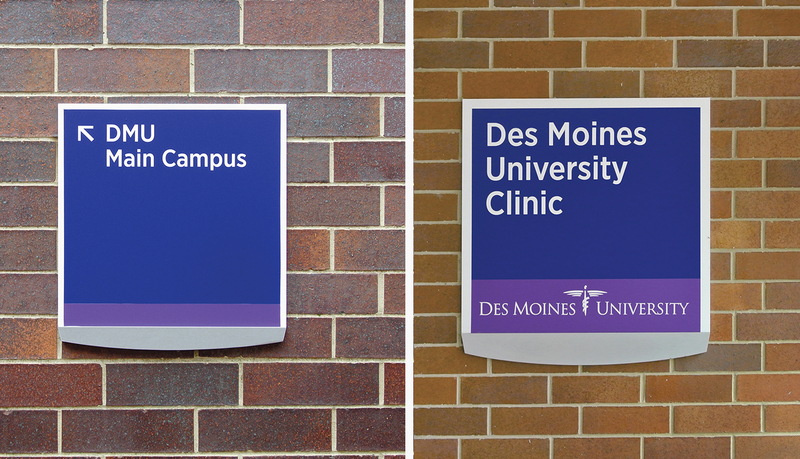 Des Moines University is an osteopathic medical school located in Des Moines, Iowa. The University is the second oldest osteopathic medical school and the fifteenth largest medical school in the United States. In 1972, the college moved to its present 22-acre site on Grand Avenue. 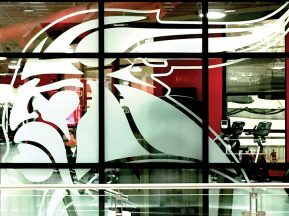 During the ensuing years, enrollment in the college more than doubled and new buildings were added to the campus. 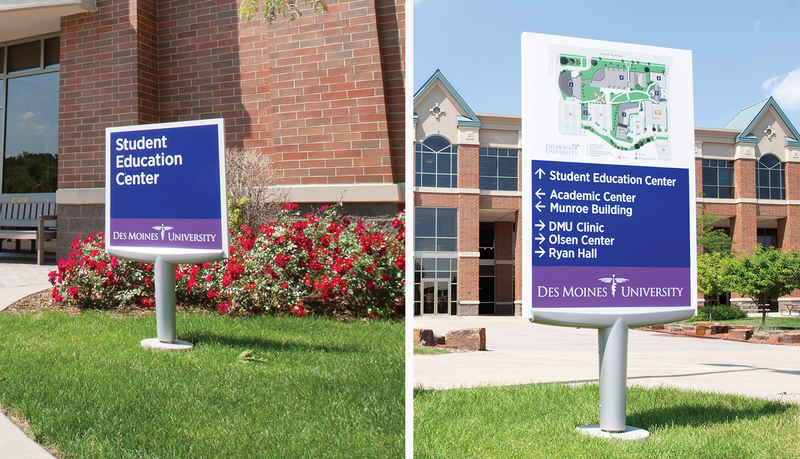 The campus had evolved over time, resulting in an inconsistent and outdated signage system. The medical clinic entrance, a destination for many first time visitors, was hidden from direct view when approached from the parking area. Most signage was building mounted and what pedestrian signage was present was in non-visible locations. 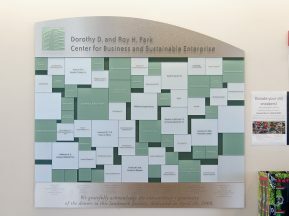 The priority for the new signage system was to simplify the wayfinding task and clearly communicate information to the user. 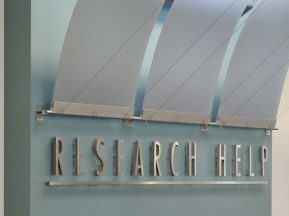 The owner also requested that the new branding elements be incorporated as a significant part of the signage design. 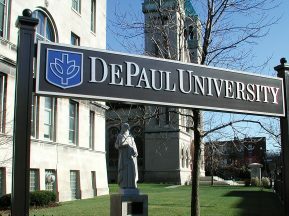 The new corporate branding elements were included in the designs, resulting in a more unique, unifying style, accentuating the signage throughout the campus. 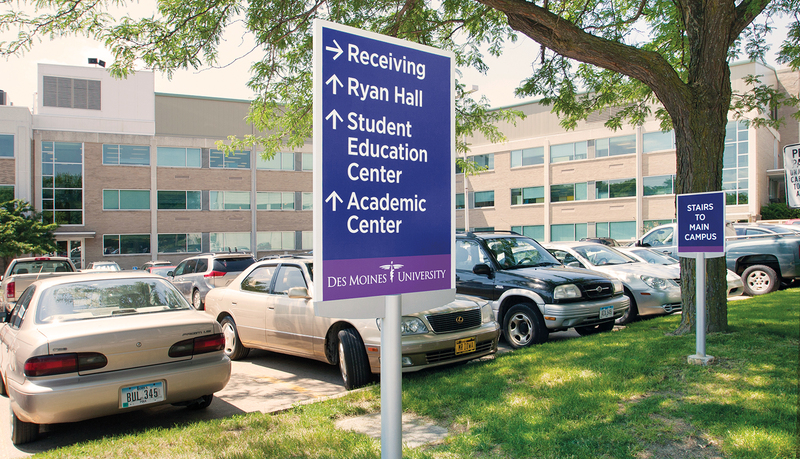 Bright, bold colors on all identification signs provided greater visibility from the parking area to the rear of the campus. Building names were placed in locations visible from the parking area. At points where pedestrians entered the campus from the parking areas, you-are-here locator map graphics and directional information provide immediate orientation. 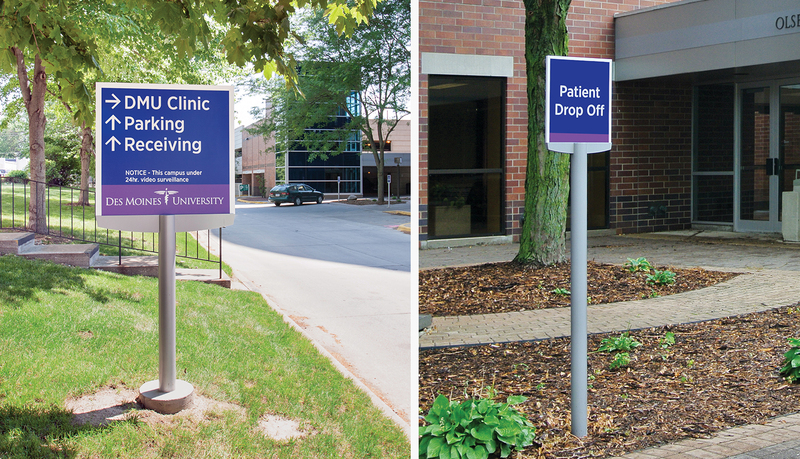 All copy for wayfinding and building identification signs appears at increased size, enabling greater legibility. 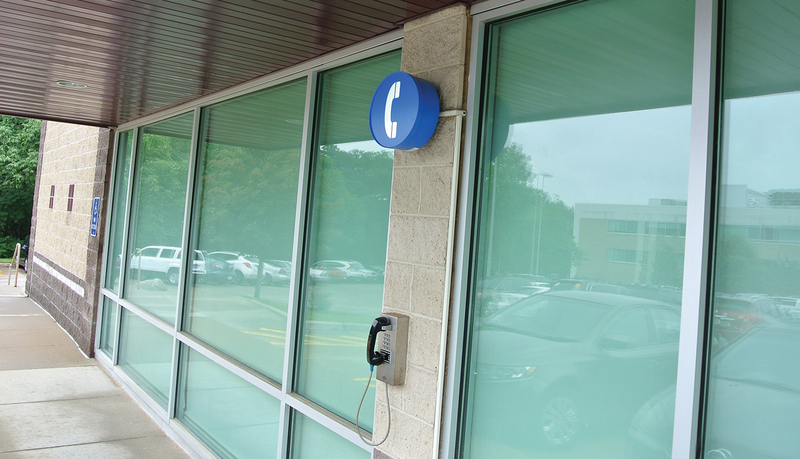 While navigating users employ a combination of building mounted letters and pedestrian directional signs to guide them to the appropriate building entrances. 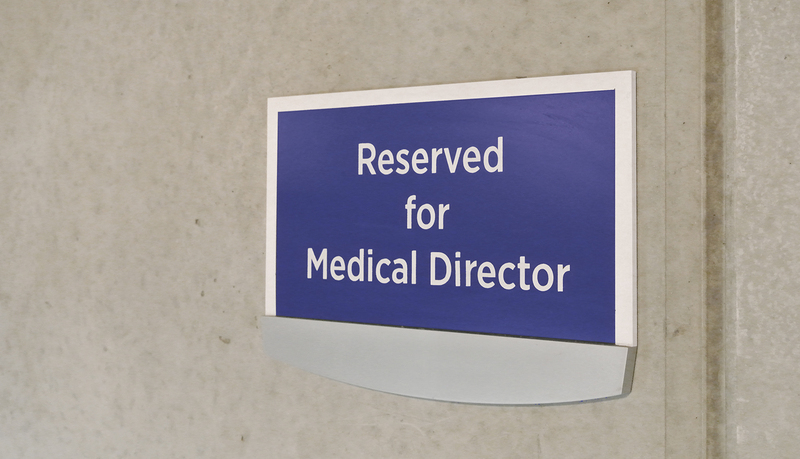 The resulting sign system addresses the needs of the wide range of users at this medical school.